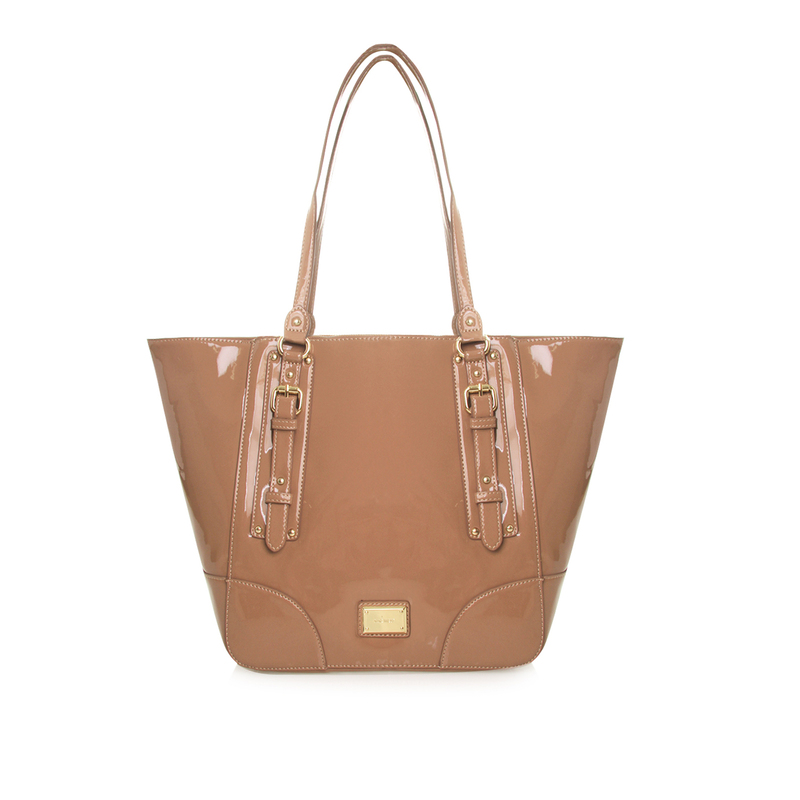 Stay chic with Thisisthsea Tote from Nine West. 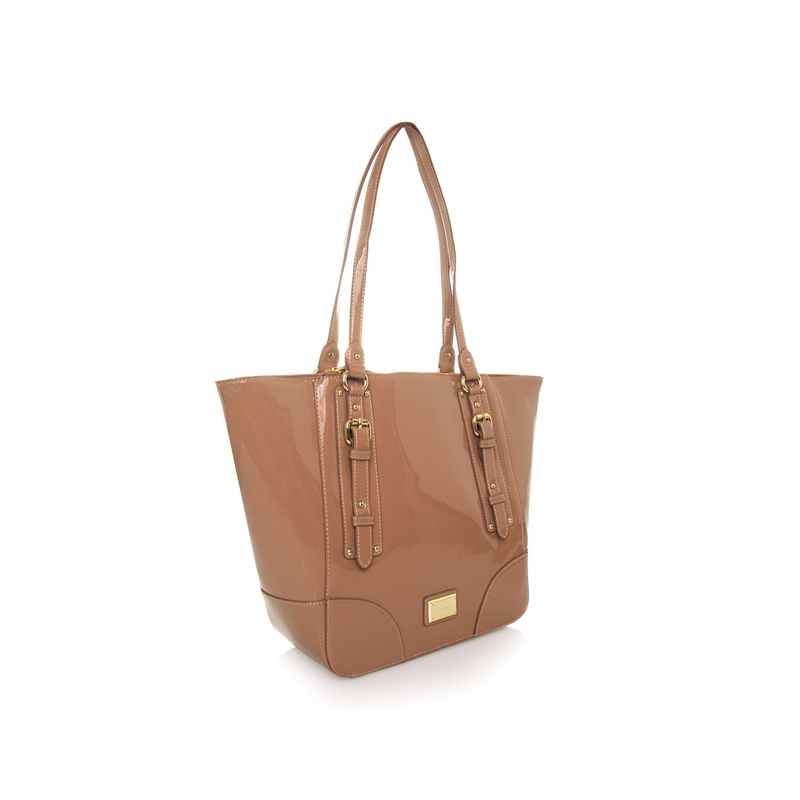 A patent bag with eye catching front buckle detail, and an over the shoulder strap. 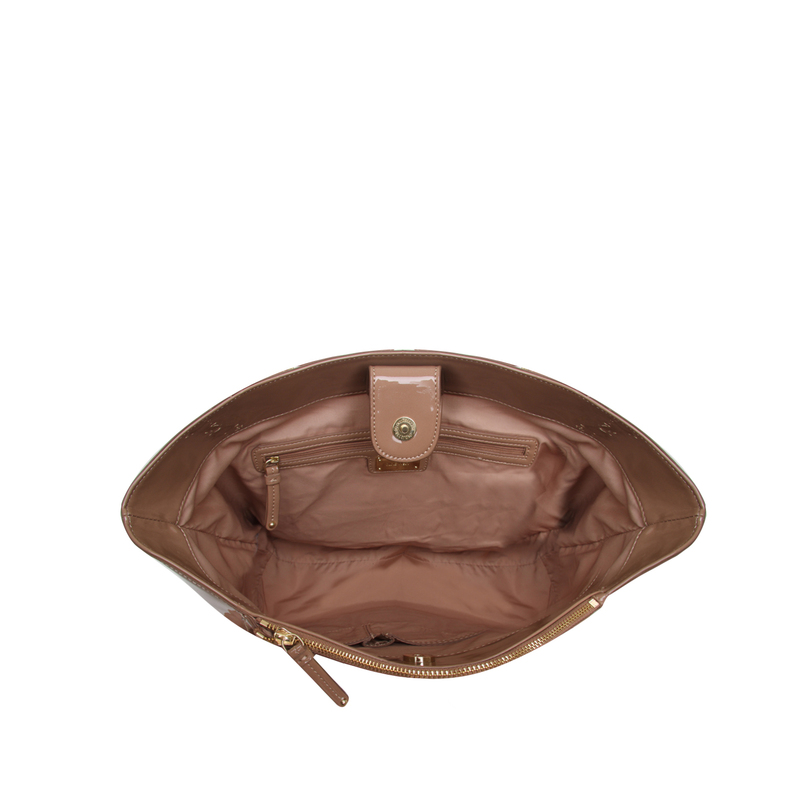 A main compartment will hold all your daily essentials, plus a front zip fastening compartment for your valuables.